We are offering a comprehensive weight loss program which includes acupuncture treatments, herbal medicine, dietary modifications, exercise and relaxation techniques. In this program you will be a participating partner in every step of the way. Our weight loss program is designed to support a creative journey where mindful eating and healthier choices becomes part of the daily life. Chinese medicine, which includes acupuncture and herbal formulas, when used in conjunction with a weight loss program, helps to cut down on food cravings, reduce excessive appetite, improve metabolism, maximize absorption of nutrients, and regulate bowel function. In addition, it helps calm the mind and therefore reduce the absent-minded excessive eating which stems from stress, anxiety, and boredom. Western medical studies have shown that acupuncture and traditional Chinese Medicine improves the function of the nervous system, endocrine system and digestive system. Healthy function of all of these systems is imperative to support healthy and gradual weight loss. Herbs are prescribed on an individualized basis. There are different reasons and conditions for weight gain or inability to lose weight. Therefore, herbal formulas are tailored to each person's specific needs. 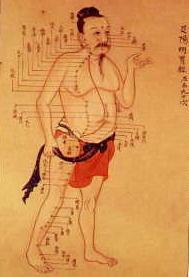 If herbal medicine is appropriate for you, it will be discussed with the acupuncturist during the initial consultation. As part of any weight loss program, our focus is on making better food choices and eating as many whole foods as possible. Eating in moderation and mindful eating are two important concepts to contemplate and practice. These concepts require awareness and planning. In our weight loss support program, we will help you to identify your repeated difficulties and aid you into transforming them. Healing foods are what they sound like. They have the ability to heal the body and bring balance into the different body systems. They are foods containing vitamins, minerals, strong antioxidants and anti-inflammatory properties. Usually these foods have bright colors, like dark green, orange, red, purple, etc. Exercise is your friend. There are many ways to exercise, but the best exercise is the one that you like enough to stick with. Cardiovascular exercise (walking running, jogging, swimming, elliptical training, etc.) are essential for the health of all the internal organs. It boosts the function of the immune system, stimulates metabolism and acts as a natural antidepressant. We need to build lean muscle tissue in order to maximize the body's use of nutrients. Lean muscle tissue helps the body work more efficiently; it's like a well tuned engine. It is possible to tone the muscles at any age. Studies show that even individuals in their 80's, when using weight bearing exercises, are able to tone muscle tissue. There are many different types of relaxation techniques and they are all helpful. We believe they are an important component to any weight loss program because they help to calm the mind and cultivate inner peace. In times of stress, the body produces a stress hormone, called cortisol, which increases appetite and makes it more difficult to lose weight. A high level of stress hormones constantly circulating in the blood for a prolonged period of time can alter the metabolism. Practicing meditation, Qi gong, Tai Chi Chuan, yoga, creative visualization and guided imagery are all positive ways to help reduce levels of stress hormones which will help calm the body, mind and spirit. If you are asking yourself, "Is there anything I can do to start right now before I make it to my first appointment?" The answer is yes! Start by creating a food diary for 3-4 days. A food diary means keeping a record of everything that enters into your mouth, including beverages. When you do that, you may become more aware of what you eat, and may want to eat healthier, but keep the diet for those few days as close to your original diet as possible. Please bring a typed copy to your first appointment. This is not a pre-requisite for your first appointment.